iDevices is about as agnostic as it gets when it comes to working with third-party gear. The big selling point is that all its products use Wi-Fi as their wireless standard, so they don’t need a hub. On top of that, iDevices integrates support for all the big voice-assistant platforms into the full product line: Alexa, Google Assistant, and Siri (via integrated HomeKit support). In other words, no matter what your smart home network looks like to start with, iDevices will fit right in. We reviewed two of the main products from the iDevices line of in-wall products, its Dimmer Switch and Wall Outlet. Before digging into the details, note that while both products are available exclusively in white, neither includes a matching cover plate in the box, so you’ll need to acquire one of those separately (or re-use the one you have, provided it’s a white rocker style). The iDevices Dimmer Switch installs without any trouble. Designed to attach to your wiring with pigtails hardwired to the switch, you simply splice everything together with the included wire nuts and jam everything back into the receptacle. As with most smart switches, the iDevices Dimmer takes up a ton of room inside the wall, and getting everything to fit back inside can take some muscle. Of special note: The Dimmer Switch supports both single-pole and three-/four-way configurations out of the box, though you will need matching switch at the end of each circuit in the latter configuration. You’ll also need to follow some additional instructions to get everything working correctly. iDevices’ integrated nightlight can be fully color-tuned. As noted above, iDevices products are configured for HomeKit, so once it comes time to set up the iDevices mobile app, you can simply scan the HomeKit code on the switch and register it with the iOS Home system. But wait, you might say, if the code is on the switch and the switch is in the wall, how do you scan it? Ah, iDevices has thought of this by including a somewhat kooky yet effective tab on the top of the switch. Pull out this tiny shard of plastic and you’ll find an even tinier copy of the HomeKit code printed on it. If you didn’t finish setup before pushing all the wiring back into the wall (or need to reinstall it later), you can do so by simply using the tab code. The Dimmer features a traditional rocker-style design with a familiar operation: Either click-and-release or tap-and-hold to brighten or dim, or double tap to quickly take the lights to full brightness or turn them off completely. There’s also a small LED in the center of the switch that works as a night light. The LED’s color and brightness can be changed within the iDevices app, with a full gamut of shade options available. Finally, two tiny buttons at the bottom of the device are used for resetting and configuring the system. All told, the switch’s appearance is a bit busy, but the nightlight feature is particularly useful. Setup also automatically sets minimum and maximum dimming ranges, which helps to limit flicker and hum. Pigtails emerging from the back of the iDevices Dimmer Switch make for easy installation, though it can be a challenge to stuff all the wires back into the junction box. iDevice’s app is quite simple, and it supports HomeKit devices from other vendors all in the same interface. Switching between rooms requires a significant amount of swiping, though; streamlining the way rooms are accessed would be a helpful upgrade. Once you’ve swiped far enough to have the correct switch front and center, controls are intuitive. Turn the light on or off with a tap, or dim with a drag. Scheduling and scenes are also supported, and work flawlessly, if you want to get fancy. And with a street price hovering around $65 a pop ($100 MSRP), you’ll probably want to get fancy if you decide to invest in this switch. That kind of price tag puts it on par with top-shelf switches like the Wemo Dimmer, which is a tough product to beat (and neither of those are as powerful—or as expensive—as the Noon Lighting System). That said, if you need exemplary out-of-the-box versatility, it’s not a bad investment by any stretch. 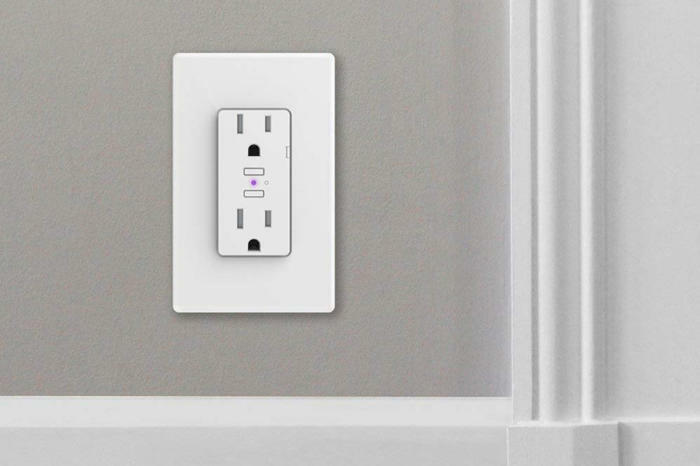 The iDevices Wall Outlet has a lot in common with the Dimmer Switch, including its built-in pigtail connectors, which make replacing an existing outlet a snap. 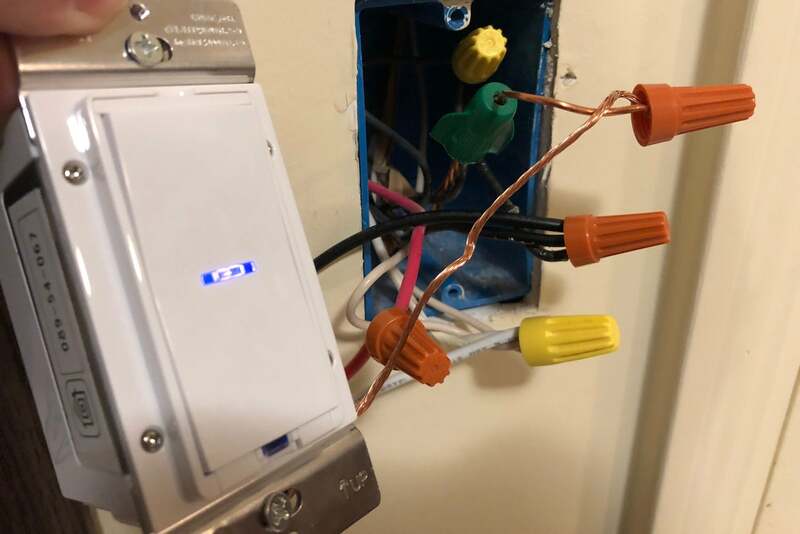 With only three wires to connect, the Wall Outlet installs more quickly than the Dimmer Switch, though it’s still a challenge to jam back into the receptacle after connecting the wires. The Wall Outlet has a nightlight, too, but this one is tiny and destined to be blocked if you plug in an AC adapter of almost any size. Wireless setup is completed via HomeKit, and just like the Dimmer Switch, the outlet includes a flip-out tab with the HomeKit code printed on it, making setup simpler. The iDevices Wall Outlet would pass for a standard outlet on first glance except for two small features. First, teeny-tiny physical power buttons are placed adjacent to each socket. This gives you manual control over each outlet—at least if you have a small enough plug attached; if your attached device has even a small wall wart at the socket, this power switch will be covered up and unusable. Like the Dimmer Switch, the wall outlet also has a nightlight, located in the dead center of the outlet. This nightlight is tiny, barely the size of the ball point on a pen, but like the Dimmer Switch the color can be tuned and the brightness of the nightlight can be adjusted in the app—or turned off altogether. Alas, like the small power switches, it is likely to be covered up by an AC adapter of even modest size. 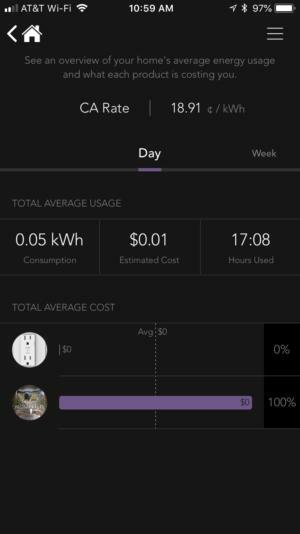 The iDevices app tracks the Wall Outlet's energy consumption over time. Setup and management of the Wall Outlet is identical to that of the Dimmer Switch; once configured with HomeKit, you can begin scheduling times when the plug is on or off, or you can add it to a HomeKit automation scene. The biggest bonus feature the Outlet brings to the table is energy reporting, which lets you know how long each socket has been active, how much power has been consumed in kWh, and how much this is likely to have cost you, based on the average cost of power for your state. If iDevice’s estimated rate is wrong, you can adjust it manually within the app, and you can track all this information by day, week, month, or even year. 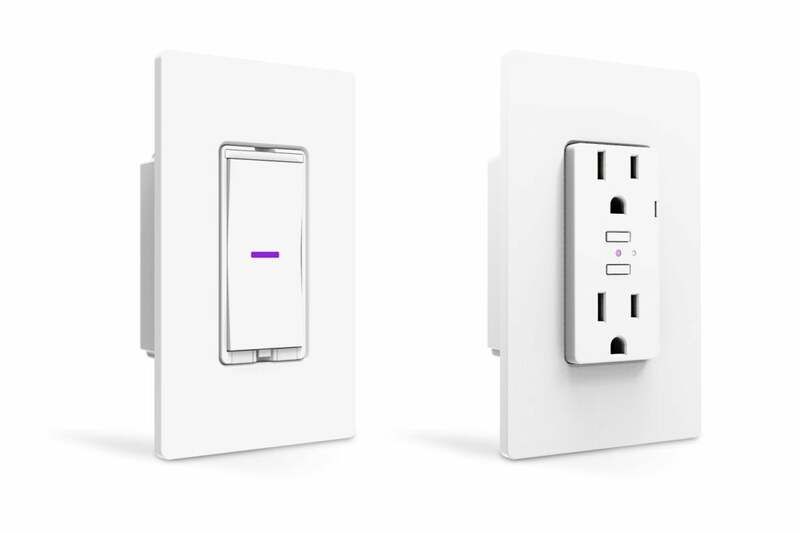 And now for the bad news: the iDevices Wall Outlet is even more expensive than the Dimmer Switch, with a street price around $86 (MSRP is $100). 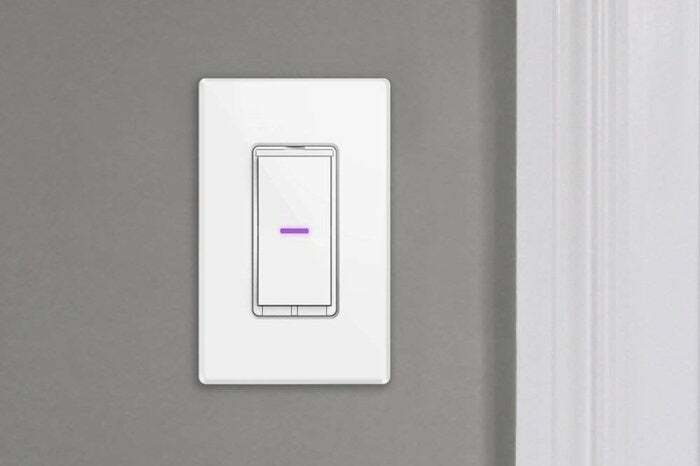 With most smart outlets priced at $30 to $40, that’s a gargantuan investment for a category that is largely a commodity—even if it can provide a smooth purple nightlight that satisfies your inner child. This story, "iDevices Dimmer Switch and Wall Outlet review: Smart home control—no hub required" was originally published by TechHive. This capable dimmer supports Apple's HomeKit platform along with the top three digital assistant platforms: Amazon Alexa, Google Assistant, and Siri. This wall outlet features plenty of extras, but the price makes it a tough sell.